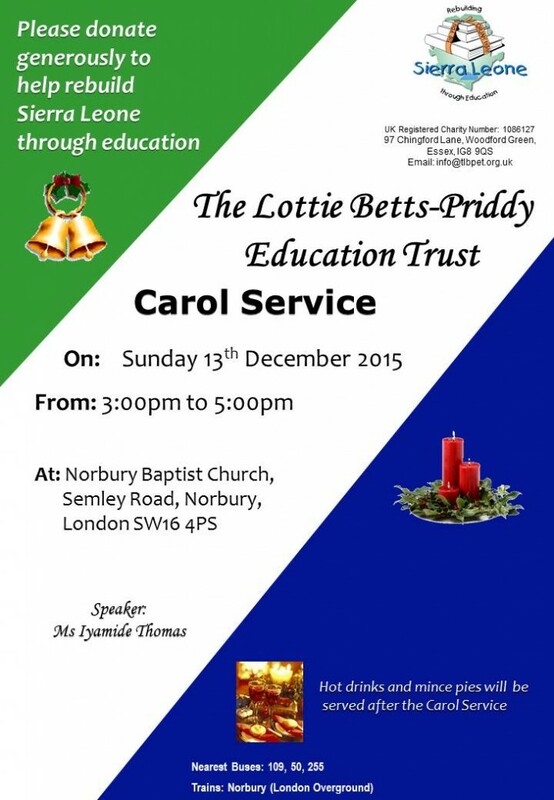 The Lottie Betts-Priddy Education Trust is holding its carol service this year at 3:00 pm on Sunday 13th December 2015 at Norbury Baptist Church, Semley Road, London SW16 4PS. We would love you and your family to join us for carols, hot drinks and mince pies. The funds raised from this event will go towards setting up classroom libraries in the primary school in Hamilton Village that we are working in partnership with. Please come along and join us. 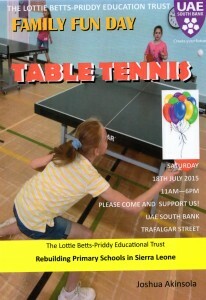 TLBPET Family Fun Day has taken place, Saturday 18th July 2015, 11:00am to 6:00pm! 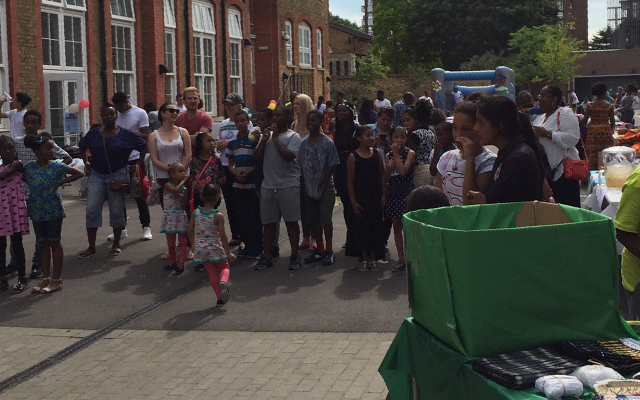 As the event took place during the summer holidays, it benefited from the presence of friends, relatives and visitors with close links to The Lottie Betts-Priddy Education Trust. 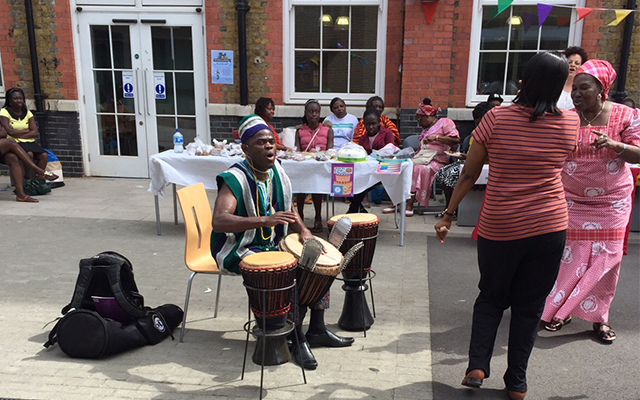 Indeed, the event was well-attended with a truly multi-cultural and international crowd – people came from Sierra Leone, Nigeria, Ghana, Switzerland, Reading, Birmingham, Oxford and of course all parts of London, all in support of TLBPET and the work we undertake. The event was organised in partnership with the University Academy of Engineering (UAE) in Southwark. 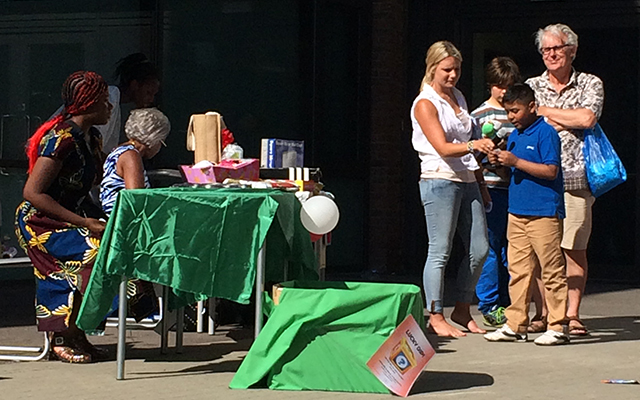 The term’s work ‘Our World’ Module included work for the Family Fun Day and Sierra Leone. Staff and pupils enthusiastically embraced the study of all aspects of Sierra Leone, and all efforts, enthusiasm and wonderful ideas evolved to make the theme of the term’s work ‘Our World’, become reality. Posters designed by UAE Students advertising TLBPET 2015 FFD. 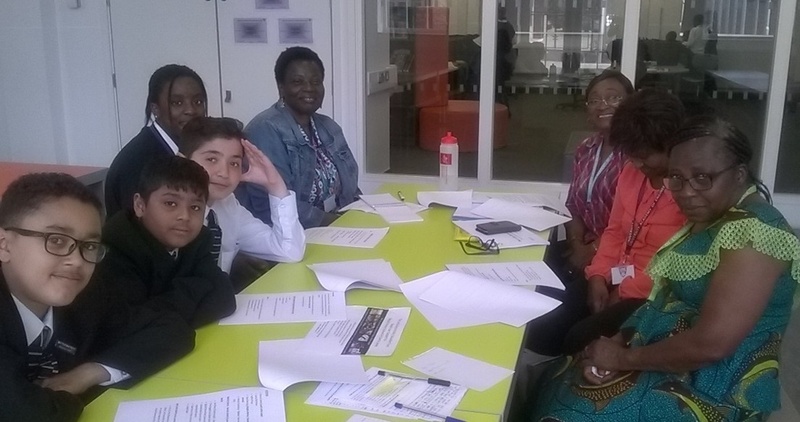 The ‘leaders’ were Sharon Kelly (teacher), Rachel, Kamal, Yaseem and Sasha (pupils). Here, we must mention Jane Rowlands, (Head Teacher) and Dan Smith (Business Manager) whom without their permission and diligence, the event could not have taken place. Taking a break from a hectic afternoon, the Trustees unite for a group photo! 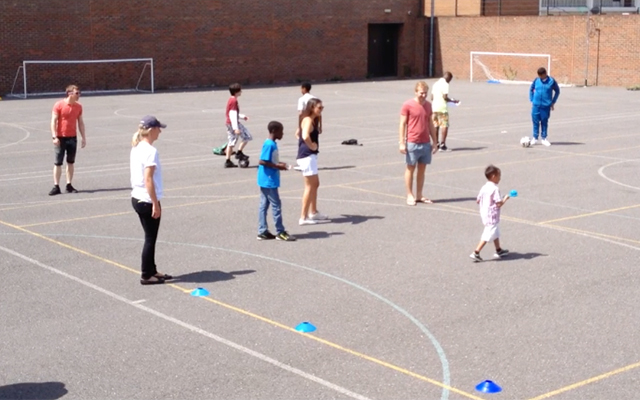 There were many opportunities and activities for children to participate in, such as novelty races including sack race, egg and spoon race, three-legged race, penalty shootout. The Fusball and Table Tennis together with Minecraft build-off were very popular as was the Lucky Dip and the Bouncy Castle, manned throughout the day by Leslie Leigh. A small group of UAE students ran one of the most successful stands of the day selling home-made snacks and drinks at the same time having great fun. 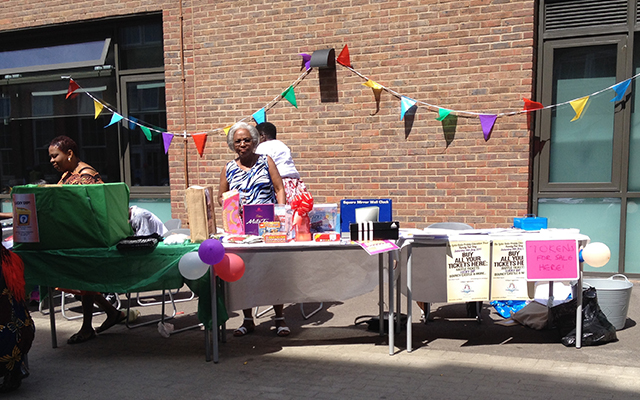 Our supporters were very generous, we received many different donations that we were able to raffle on the day. The prizes ranged from makeover sessions, Mary Kay Voucher, two tickets to the next Nostalgia Night, books by Sierra Leoneans, pottery, a wall clock, a 30 minute trial flying lesson donated by Pilot Flight Training, flying over beautiful Oxfordshire in one of their light aircrafts and many others. 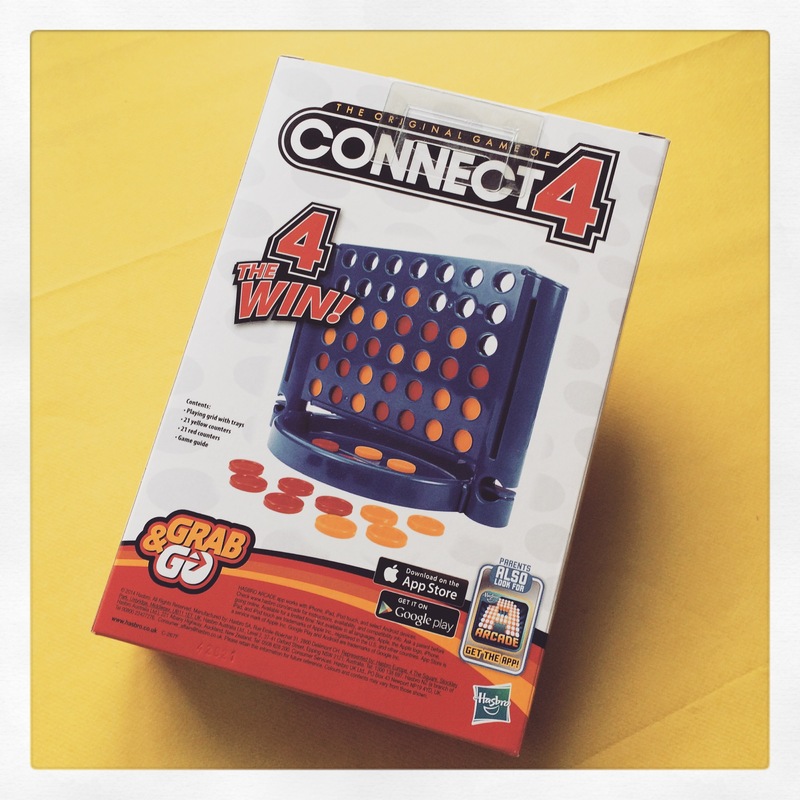 There was a good selection of children’s prizes, including Lego – expand the battle, Connect 4, Frozen Glitter Puzzle, etc. 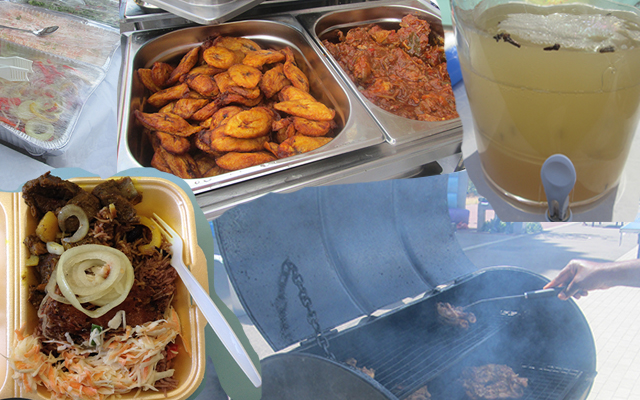 As always at the Family Fun Day, there were a wide variety of foods being sold on the day – including the traditional homemade ginger beer – donated by Alafia Gabbidon. Popular Sierra Leone dishes, Jolloff rice, chicken stew, “beench” with all the trimmings, vied with barbecue chicken and pork, curry goat, rice and peas, slices of fish, rice sticks, sandwiches, sweets and crisps, providing a wide range of eating experiences, which went down very well with children and adults alike. 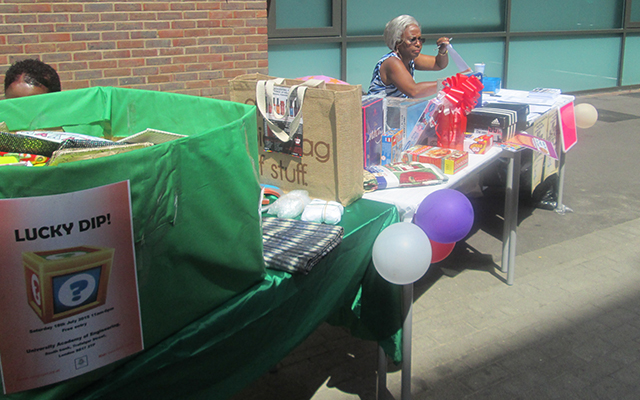 There was a sweet stall, run by one of our supporters, Donna Cox. 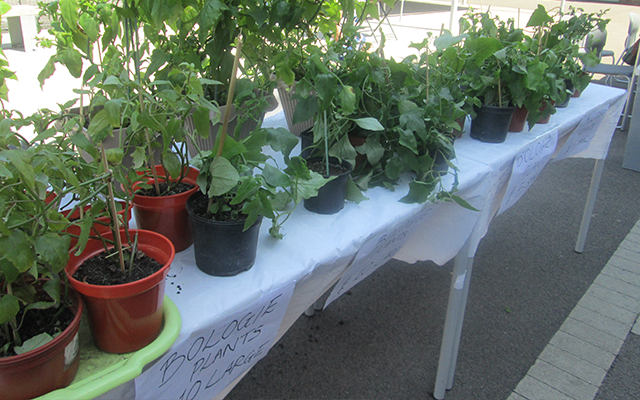 Bologie plants, tenderly grown and nurtured by Gussie Harleston, Rita Elba and Joyce Joko-John (supporters of our charity) and were sold on the day with the stall manned by Christiana Hyde. 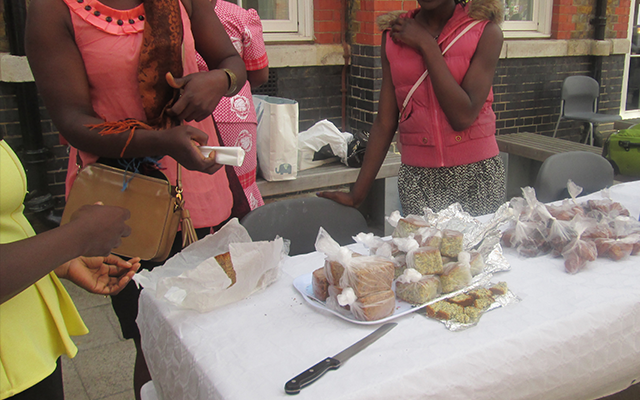 Joyce Joko-John, made and donated her usual ‘Rice Bread’, a firm favourite with everyone not only Sierra Leoneans! A variety of delicious cakes from Saf Samura, Dilia Laux (Casho Macauley’s daughter), and Sydnella Terry, Lottie’s sister, who never fails to support our Family Fun Day, with the ‘Guess the weight of the cake’ competition, a sponge cake this year: won by one of the day’s volunteers – Sebastian, with a guess of 3.1 kg, closest to the actual weight of 3.35 kg. DJ Lorin, was our DJ on the Day. 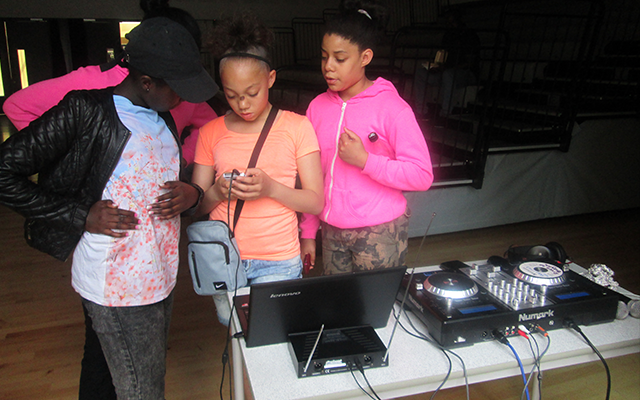 He was fantastic from start to finish, encouraging the young people to get involved, choosing their own choice of music. He played appropriate hit after hit playing music for the audience that kept people dancing if they chose, or just happily enjoying in the background as they sat, walked around or chatted with their friends. 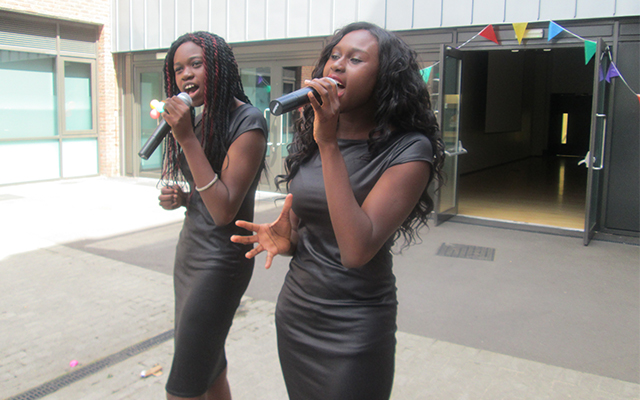 The Fadojutimi singing sisters, Lola and Folake, are talented girls from Essex. 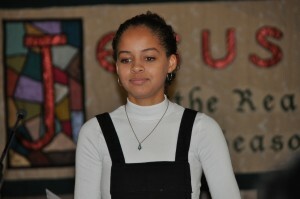 They began singing to gospel tunes in their local church and competing in talent shows. They have since moved on to performing a variety of tracks and covers of many soul, pop, R’n’B greats including Etta James’ At Last and Judy Boucher, Can’t be without you Tonight, in various charity events including TLBPET Family Fun Day. 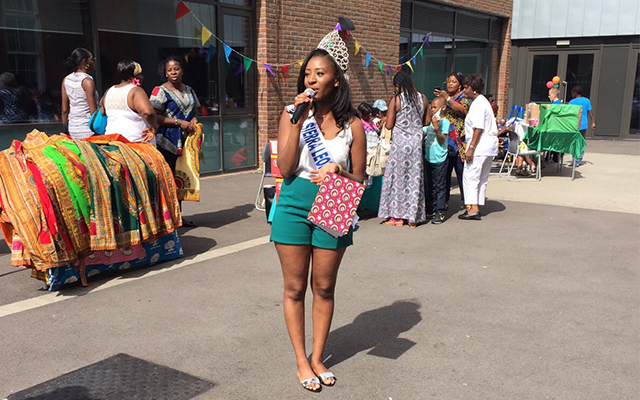 Miss Sierra Leone, Yazmin Karim, generously sprinkled some glamour over proceedings. A vibrant entrepreneur and model, she demonstrated her affinity for the charity and children in her opening speech. Her philosophy in life is, “if I can do it, anyone can”! When she is not giving back to the community in her monthly soup kitchens, she is championing the causes affecting women and young children. She is passionate about helping those less fortunate to change their lives. Usifu Jalloh, Africa’s Cow Foot, performed his traditional, energetic and deeply inspiring mix of drumming, singing and music which captivated the audience and encouraged some women and children to show off their ‘Gumbe dancing skills’ for all to see – with no shame or embarrassment, just pure enjoyment! 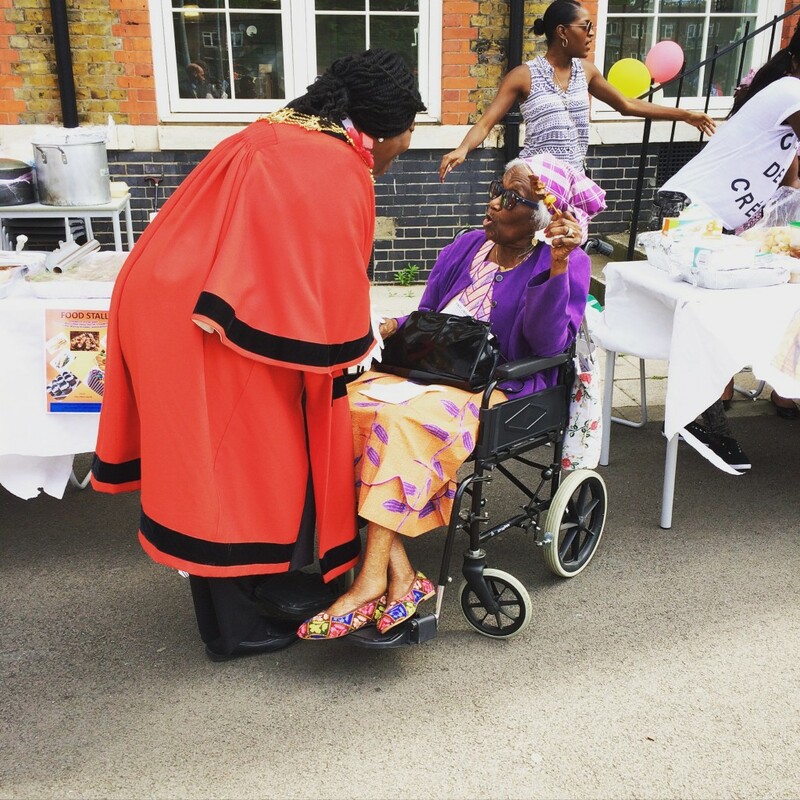 The Family Fun Day was graced with the presence of The Mayor of Southwark, Honourable Dora Dixon-Fyle, dressed in her mayoral regalia. She joined us in the middle of the afternoon, chatted with guests, went on a brief tour of the school and sampled the food and local drinks (ginger beer) being sold. We are very grateful for the Mayor taking time out in her very busy schedule to join us. 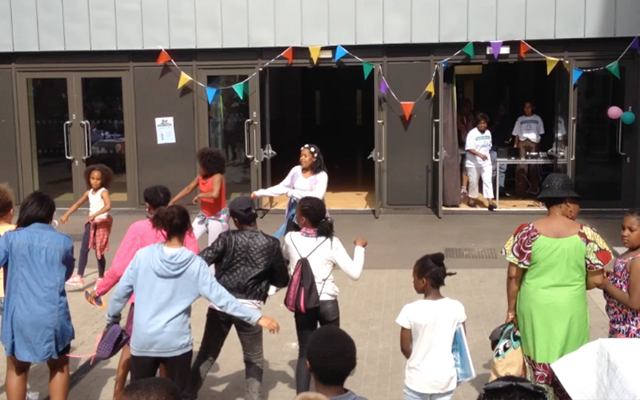 Amongst the various activities that took place at the Family Fun Day, we had our own celebrity dancers – Diandra, Lorna and Racquelle. Three young girls who confidently performed their routine – it was amazing to watch them. They not only performed this as an act which they had been rehearsed, but it was wonderful that these three young girls could create an atmosphere for the children in the audience to feel able and freely join them! 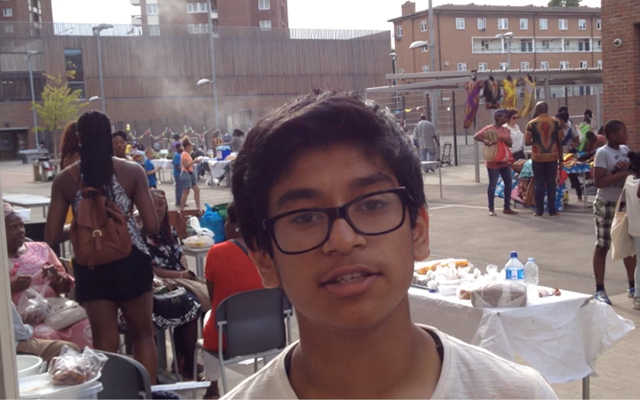 One young student, Kevin, was so moved by the Family Fun Day, he wanted his feelings and happiness expressed openly! 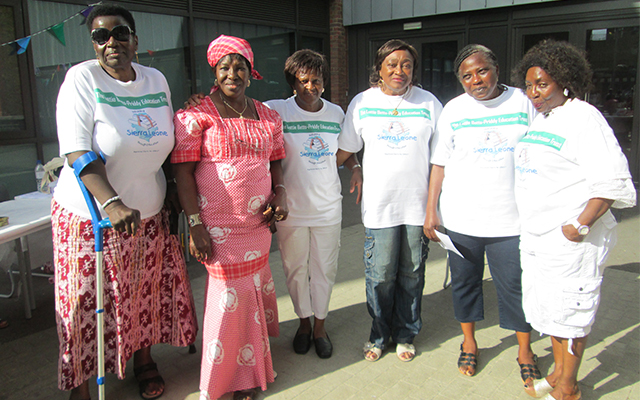 What would we do without our able and ever willing volunteers – Linda Thomas, Asha Leigh, Victoria and David Akeredolu who were stalwarts from start to finish. The clearing up process, always needs many hands and on this occasion to hand were Emile and Lisa Richards, Leslie Leigh, Asha Leigh (no relation). 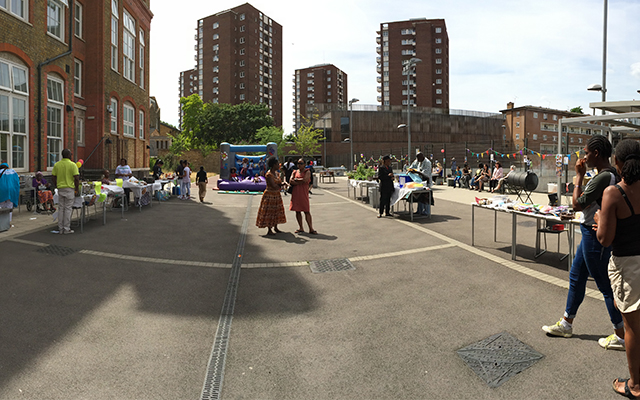 A BIG Thank You to everyone who in various ways contributed to making the 2015 Family Fun Day a huge success. 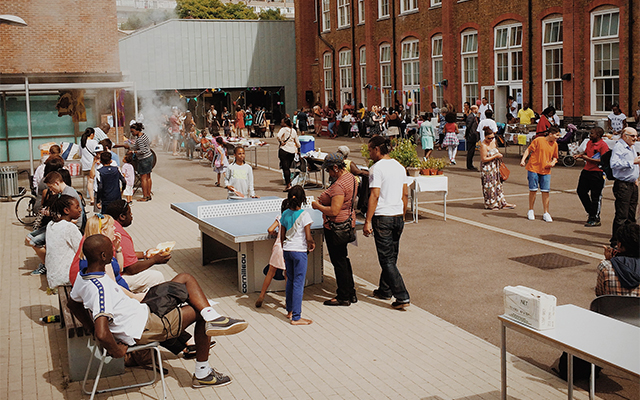 The count down begins – only 8 days to go – to the awaited Family Fun Day on Saturday 18th July 2015 at University Academy of Engineering, South Bank, Trafalgar Street, London SE17 2TP from 11:00 – 6:00. 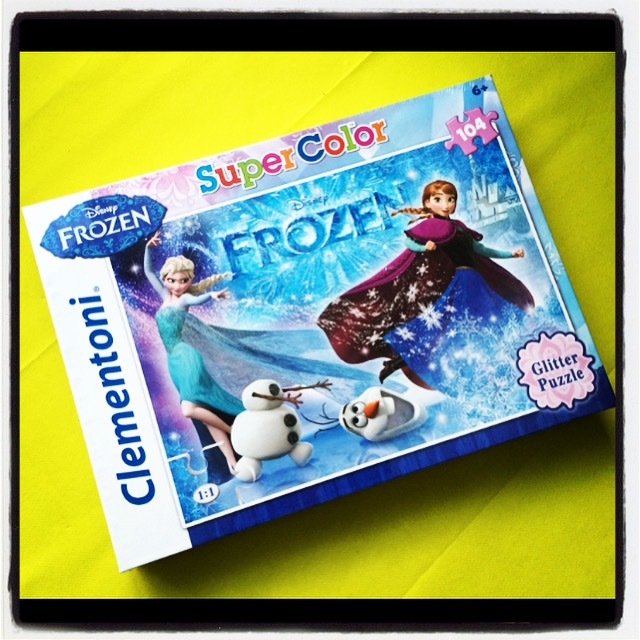 These are some of the raffle prizes children could win! 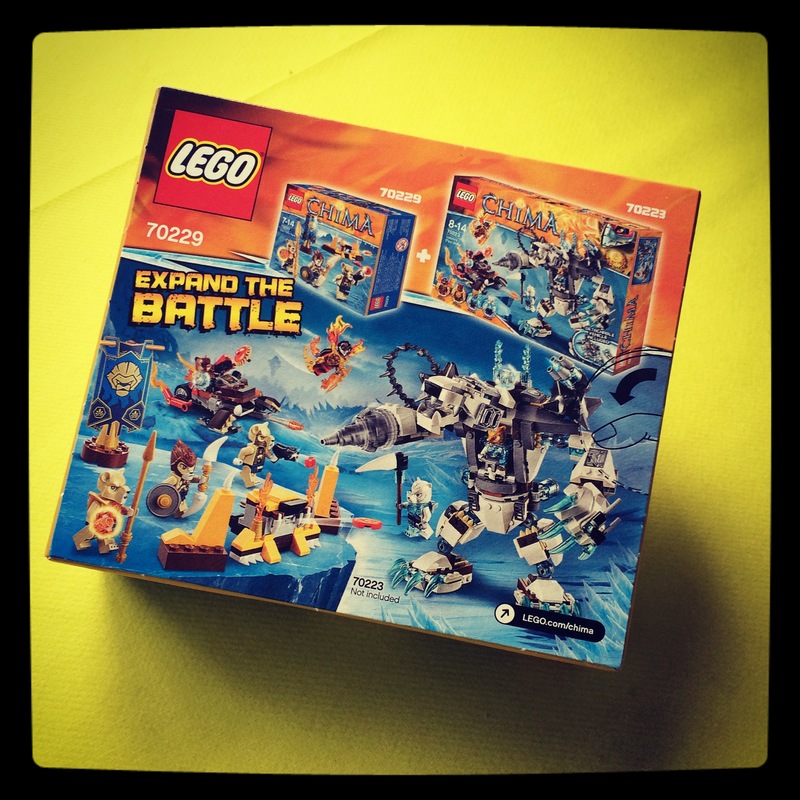 Come along on the day and buy your tickets to stand a chance to win one of these and many other exciting raffle prizes, however, for those not able to attend on the day, you can purchase your tickets ahead of time from Trustees or email info@tlbpet.org.uk. 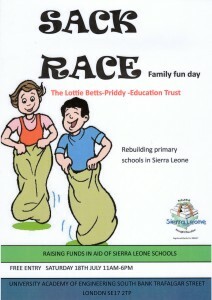 The day will be packed full of exciting and fun things for the children and the whole family to do including ice bucket challenge, crossbar challenge, penalty shoot-out, sumo wrestling and lots, lots more so come along, have fun and help us raise funds for our continued work on rebuilding Hamilton Rural Primary School, Sierra Leone. The University Academy of Engineering in Southwark has entered into an exciting partnership with a South London based charity that aims to improve education in Sierra Leone! 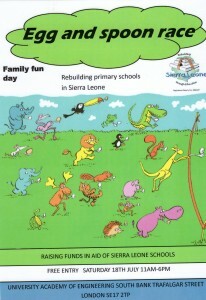 The staff and pupils have enthusiastically embraced the study of all aspects of Sierra Leone and have eagerly embarked on fundraising plans for a Family Fun Day at their school on July 18th. 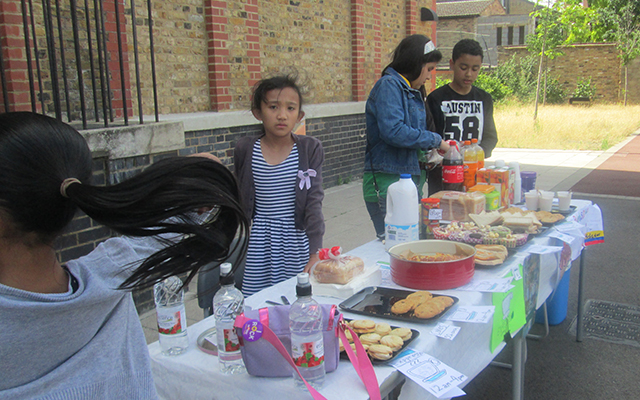 From penalty shootouts, roller-skating, Minecraft games to frozen treats, the pupils have seized with verve the opportunity to run little businesses for the day. Each stall has undergone a cost analysis and they are designing posters and even some items, like key rings, for sale. There will also be a range of food and artisan products for sale, a bouncy castle and novelty races. The Trustees of the The Lottie BettsPriddy Education Trust were impressed by the amount of work the pupils had already done, particularly as they had brought a lot of fresh thinking to the concept of a Family Fun Day. This all augurs well for a very successful event and funds raised will go towards setting up classroom libraries and a resource centre in a school in Sierra Leone. The Mayor of Southwark has agreed to distribute the raffle prizes and Miss Sierra Leone (UK) will be opening the event. 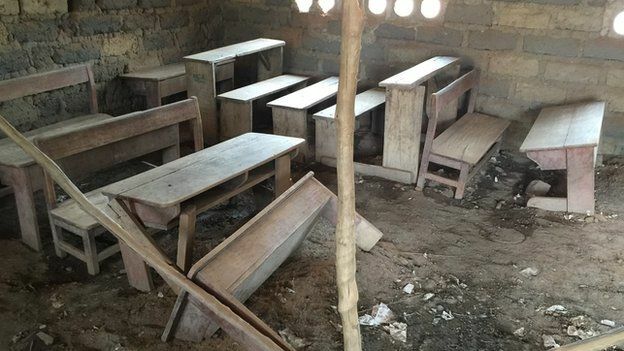 The Ebola Crisis may be over, but the physical damage caused to the infrastructure of schools means that TLBPET continues to need your support to rebuild primary schools. Provide solar panels to electrify the school and resource centre: stock with computers, printers, etc. The resource centre will be used by the primary school, nearby secondary school and the village community. Building and stocking mobile libraries in all classrooms. A huge thank you to all our friends, including Councillor Dora Dixon-Fyle, The Worshipful Mayor of Southwark, Reverend and Mrs. David Coram, Reverend William George, Derek Vincent, and the Leigh Family who took the time to join us on Sunday 13th December at our carol service at Norbury Baptist Church, made donations, sent good wishes and in many other ways rendered support to make the carol service such a success. All the support was greatly appreciated. My fellow Trustees and I, would like to take this opportunity to thank our Secretary, Karin Hyde, for her tireless efforts in organising this event. We had a wonderful service with nine carols and nine readings. The service was graced by a solo performance from a very talented young singer, Jojo Philips (pictured). Our speaker, Iyamide Thomas, during her address entitled ‘Krio Women: Pioneers in Education’, treated the congregation to an interesting overview of several female Sierra Leonean educators who were trailblazers in their time: Hannah Benka-Coker, Adelaide Casely-Hayford, Lati Hyde-Forster, Constance Cummings-John, Frances Wright and Stella Thomas. Through the generosity of our many friends, we can further the work of rebuilding primary schools in Sierra Leone thus delivering on our aims – one of them being, providing a series of educational activities for Sierra Leonean children and young people, in order to cultivate a positive cultural identity and a sense of belonging and in the words of Martin Luther King, “Intelligence plus character, that is the goal of true education”. We take this opportunity to wish all our supporters a Happy and Prosperous New Year, with good health, wealth and happiness. 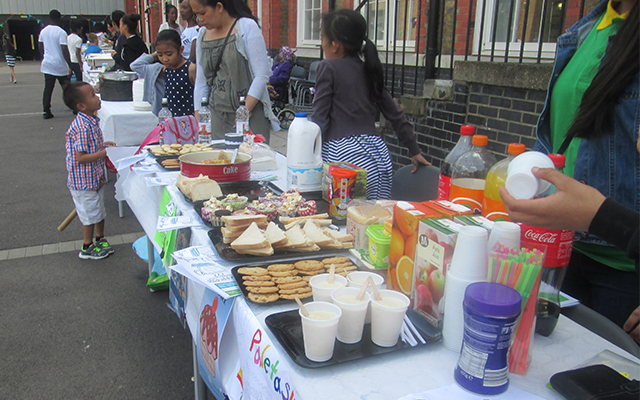 The donations were generously provided by School Aid and Perrymount Primary School, Forest Hill.